Happy Turkey Month! And what a busy month it is – Nutcracker rehearsals, finals and the start of audition season. Last year BalletScoop discontinued the big list of all summer intensives. This was a tough decision, and I know how many of you enjoyed it and relied on it year to year. In the future I hope to collaborate with a colleague of mine to develop a truly interactive and more easily maintainable database of programs (stay tuned for more on that next year)! In the meantime I’ll continue share with you links to the finest programs that every dancer should know. As far as these schools go, if you are within driving distance of an audition location, don’t think twice about – go! Bolshoi Ballet (NY/CT) – Click here to learn about the BBS SI approach. 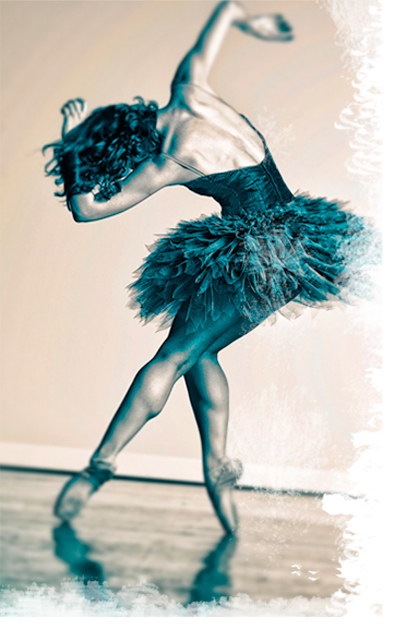 San Francisco Ballet (CA) – This year’s site has had a beautiful overhaul! Boston Ballet (MA) – Also featuring a new updated website! Need to find a regional program? It’s worth looking at the Pointe Magazine list. Keep in mind that it’s based purely on opt-in paid placement (so Pointe won’t list programs that don’t pay them money), but it’s still a solid starting point. If you don’t see what you’re looking for, feel free to drop me a line in the comments below and I’ll help you out if I can! K.D. Dance sweaters and roll-down tights were all the rage for dancers in the 90s, but over the years lost the market to bigger names like Bloch and sports brands like UnderArmour. Now they’re back for your consideration with a reboot and a new website. K.D. remains focused on craftsmanship, materials, and name-dropping (the first item I clicked on referenced its use in a recent Beyonce photoshoot), but returns with new photography and more of an American Apparel-y type feel. Their new product line is also much more streamlined and focused on particular colors, versus the formerly broad list of endlessly similar pieces available in countless hues that used to take forever to sift through. Is this a better strategy for the dancewear maker? Only time will tell. K.D. Dance products are made to order, so if you buy from their site you are looking at some wait time, similar to Eleve. If you’ve never purchased a K.D. Dance product, you really can’t go wrong with the 03 sweater, a classic piece that’s an absolute compliment machine. It’s always a pleasure to see to two great ballerinas of our time talking about their journey to the stage, but even more so when that journey represents a historical shift in national attitudes about race and art. Enjoy this brief look at the recent Houston interview of Misty Copeland and Lauren Anderson as they offer heartfelt insights to the struggles that diverse dancers face and how they have gracefully handled the challenges life has presented. I was very fortunate to spend some brief time with the lovely Lauren Anderson last year, so I am particularly thrilled that her stellar career is being remembered in the process of Misty’s celebrations. But I can’t wait for the day when diversity in the performing arts world is so normal that it’s not even newsworthy. Haven’t had much time to post since moving to NYC, but I have two great ballet events to announce! First, for those of you who are fans of Kathryn Morgan’s two youtube channels, her website, and her prior career at NYCB, you’ll be delighted to hear that her long awaited return to the stage is not far off! The elegant Ms. Morgan will be performing for one night only in Cleveland at PlayhouseSquare. An Evening with Kathryn Morgan will be and intimate showing of the best excerpts from ballet history plus a newly choreographed piece created on Kathryn Morgan. Mark your calendar for Saturday, September 19, 2015, at 7:30 p.m. Tickets are VIP only at $100 a person. A steal if you ask me – it includes pre- and post-show receptions plus a meet and greet with Ms. Morgan. Separately, those of you in Connecticut won’t want to miss the upcoming performance of Giselle by The Hartt School’s Community Division. Like hundreds of summer intensive programs across the country and globe, The Hartt School offers a performance opportunity to its students at the end of the course, but in this case it is uniquely a full-length ballet. On top of that, this staging has been directed by the talented Xiomara Reyes of American Ballet Theatre. The performances will take place on July 25th, 2015 at 2:00 p.m. and 7:30 p.m. in the Millard Auditorium at Hartt, 200 Bloomfield Ave in West Hartford, CT. If you attend either of these shows, I hope you’ll post about your experience in the comments below! If you can’t attend these events, treat yourself to a ballet in your local community and support the arts wherever you are. Ready for spring yet? From an aspiring dancer down under, check out these lovely leotards accented with your choice of a variety of beautiful floral and solid springtime fabrics. Miss Jones Dance is the place on Etsy to find all the cuts and options currently available from this Aussie fashionista. My favorite leo on the site is this beautiful keyhole front style with a cutout back. The white lycra bottom can be topped with one of ten beautiful patterns. Just in time for spring!